Blog Ask a Music Lawyer: Is the Poor Man’s Copyright Enough to Protect Your Songs? 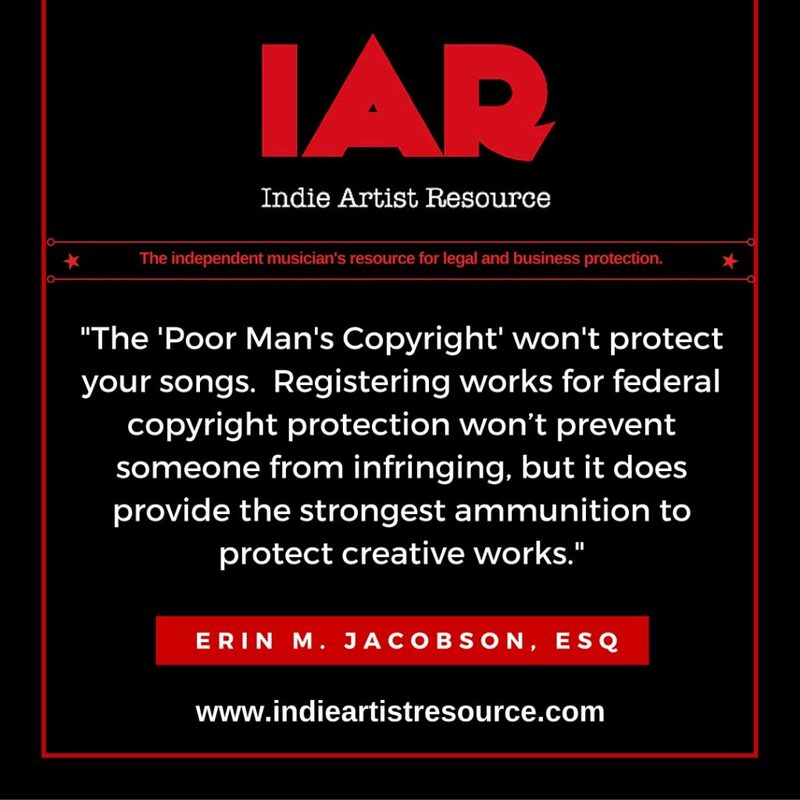 Let Indie Artist Resource to file the registration so it is done correctly the first time. copyright, copyright infringement, copyright registration, Erin Jacobson, erin m jacobson, federal copyright registration, how do i protect my music, how do i protect my songs, lmfao, music attorney, music attorney la, music attorney los angeles, music lawyer, music lawyer la, music lawyer los angeles, poor man's copyright, poor man's copyright 2.0, rick ross. Bookmark.